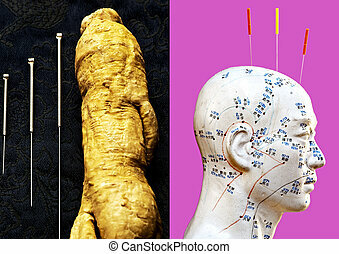 Acupuncture needles,ginseng root and herbal pills. 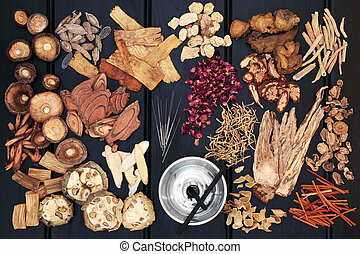 Chinese herbal medicine with moxa sticks and acupuncture needles. 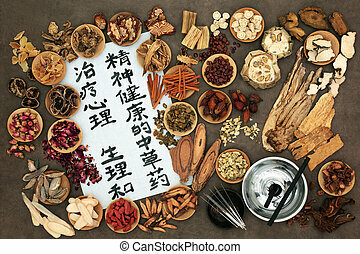 Calligraphy script reads as traditional ancient chinese medicine to heal mind body and spirit. 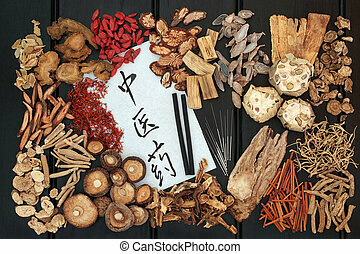 Chinese alternative herbal medicine with acupuncture needles, herbs and calligraphy script on rice paper on bamboo background. 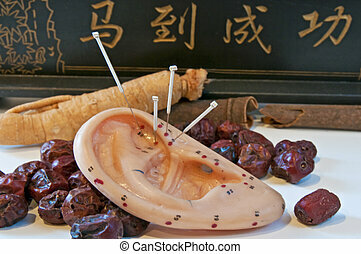 Translation reads as chinese alternative medicine. Top view. 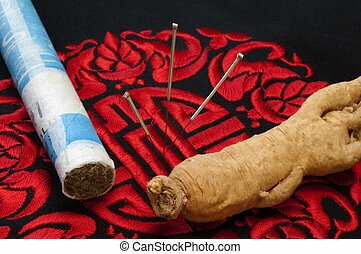 Chinese acupuncture needles and moxa sticks used in moxibustion therapy with herbs used in herbal medicine and calligraphy script on rice paper. 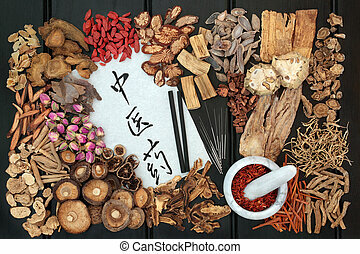 Translation reads as chinese herbal therapy. 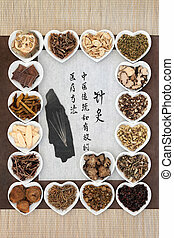 Chinese alternative medicine with herbs, acupuncture needles, moxa sticks used in moxibustion therapy and feng shui coins. Top view. 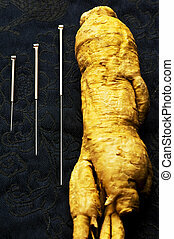 Herbal capsule, Ginseng root, and acupuncture needles. 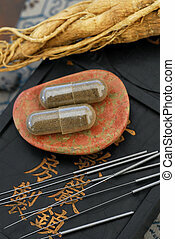 Acupuncture needles with chinese herbal medicine selection and calligraphy script. 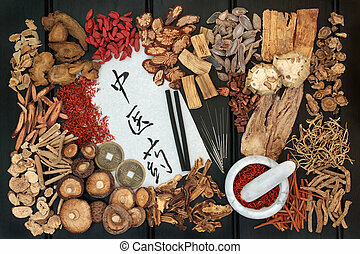 Translation describes acupuncture chinese medicine as a traditional and effective medical solution. 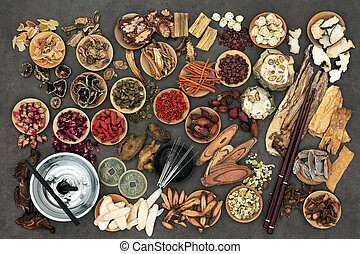 Chinese herbs, acupuncture needles and moxibustion sticks used in alternative herbal medicine with calligraphy script on rice paper. 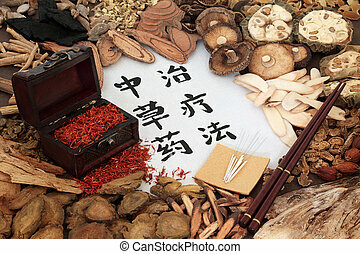 Translation reads as chinese herbal therapy. 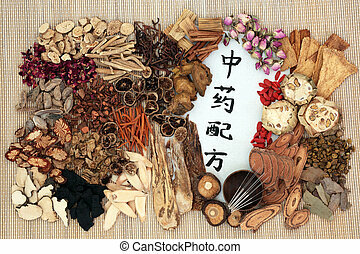 Chinese herbal medicine with acupuncture needles and a selection of herbs with safflower in a wooden ox and calligraphy script on rice paper. 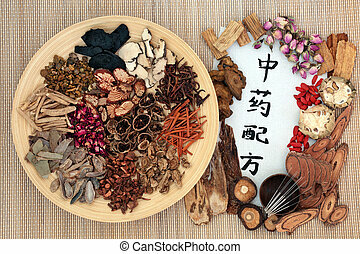 Translation reads as chinese herbal therapy. 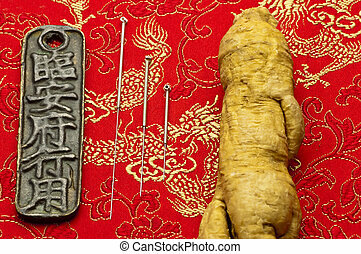 Chinese acupuncture needles and moxa sticks used in moxibustion with traditional herbs and calligraphy script on rice paper. 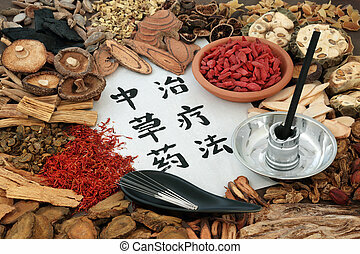 Translation reads as chinese herbal medicine. 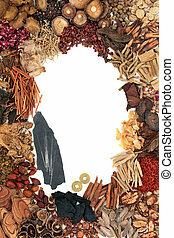 Top view on dark wood background. 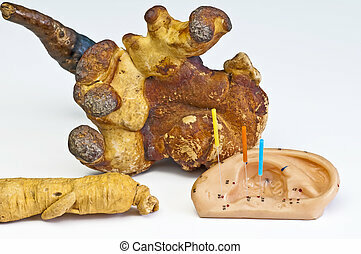 Chinese moxa sticks used in moxibustion therapy, acupuncture needles with traditional herbs, feng shui coins and calligraphy script. 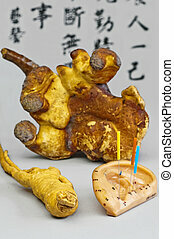 Translation reads as chinese herbal medicine, Top view on dark oak. 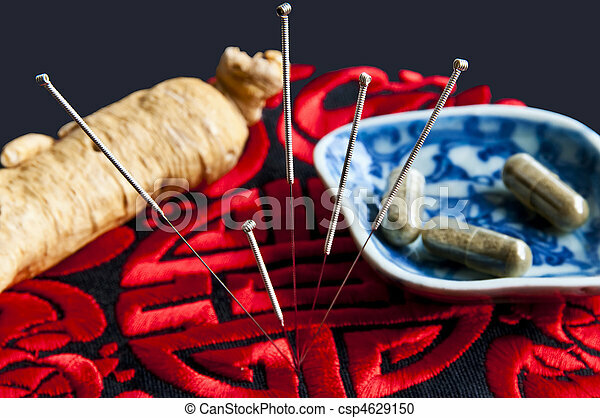 Chinese acupuncture needles with traditional herbs used in herbal medicine and feng shui coins forming a background border on white. 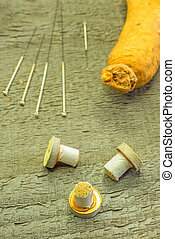 Chinese acupuncture needles and moxa sticks used in moxibustion therapy with traditional herbs used in herbal medicine on dark wood background. Top view. 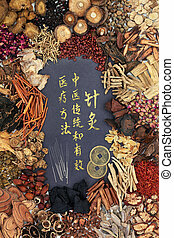 Chinese acupuncture needles with traditional herbs used in herbal medicine with calligraphy script on bamboo background. 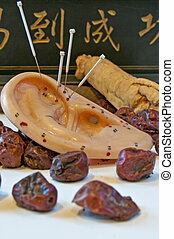 Translation reads as chinese alternative medicine. Top view. 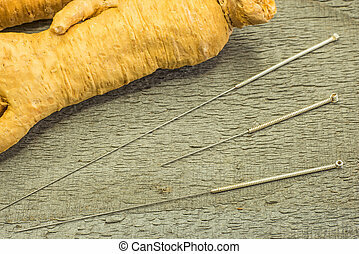 Chinese acupuncture needles and moxa sticks used in moxibustion therapy with traditional herbs used in herbal medicine on dark wood background with calligraphy script on rice paper. 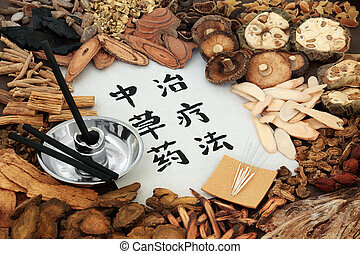 Translation reads as chinese herbal medicine. Top view. 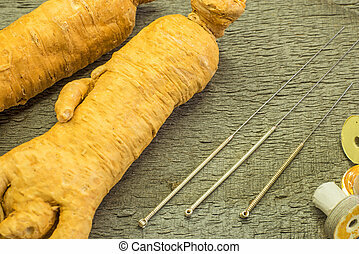 Chinese acupuncture needles, feng shui coins with traditional herbs and calligraphy script Translation reads as acupuncture chinese traditional and effective medical treatment solution method.